Priya's Menu - Yum Yum Yummy food for Food lovers ! : Egg Fried Rice & Foodpanda Experience ! Egg Fried Rice & Foodpanda Experience ! Rainy days, not only brings out happiness it also brings out our laziness. Yeah ! It's pouring cats and dogs here and I am feeling very lazy especially to prepare dinner. And Power shut down added all the more reasons to order my dinner from Restaurant couple of days back. When it comes home delivery, I order food only from our nearby known restaurants and never tried any online food portals. But for the first time, I ordered food through Food Panda and overwhelmed with the response from the Team. There was just few steps to get registered and selected my place to search for my nearby Restaurants. Amazed to see Restaurants which has varieties of cuisines to be linked with food panda. With all my conflicts in choosing food, I ended up with Chinese and ordered Egg fried rice and Paneer Jalfrezi. Menu was listed like in a menu card and felt like sitting in a Restaurant. Final completion was with the code submission which I was supposed to get through phone and I did not receive it. But in a jiffy, got a call from Food Panda to apologize on their Technical issue and confirmed my order on behalf of me. After 10 minutes, received an another conference call from food panda with a Restaurant person to inform the unavailability of Paneer dish and took a replacement order. Finally got my confirmation mail from Foodpanda with a clear details of order. Amazing right ! I found payment section as the most advantageous since it has both the option of online payment and Cash on delivery which most of the online food portal is lack in. If you are planning for home delivery, then try Foodpanda to experience the stress free order. App for Android, windows phone and i phones are also available. 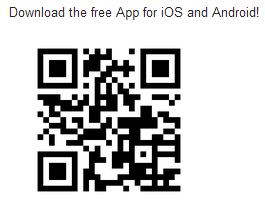 Just download free app to enjoy ordering food through Mobile/Tab. .
QR code to scan and download the app. 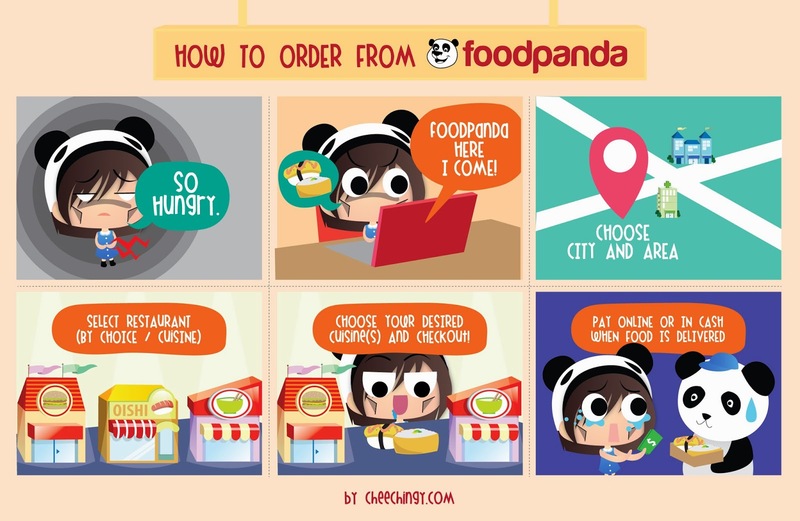 Check out the below illustration to know the process of food order from Foodpanda ! Egg fried rice is a Chinese dish which is prepared with cooked rice and veggies along with egg or meat. Easy to prepare with leftover rice and tastes delicious. Leftover rice, which is cooked a day ahead is an excellent option for fried rice. Add oil to the cooked rice to avoid stickiness. It can be served with Tomato sauce, Chili sauce and any wet Manchurian. My food panda experience made me to try this yummy rice for my lunch ! Here is my style Egg Fried Rice ! Cook rice on a previous day and refrigerate it. Remove from refrigeration and add 1/2 Tbsp oil. Break eggs in a bowl and add 1/2 Tsp Soya sauce. Beat well and keep aside. Heat 1 Tbsp Oil and add the beaten eggs. Scramble them and keep aside. Add the remaining oil in a same pan and add the chopped garlic. Saute and add shallots, saute for a minute in a medium flame. Add finely chopped carrot and saute for couple of minutes. Now add soya sauce followed by the cooked rice and mix well. Add salt and pepper powder. Mix well and switch off the flame. Garnish with finely chopped spring onion leaves and serve. Serve hot with Tomato sauce, Chilli sauce or any Manchurian gravy. Leftover rice is an excellent option for fried rice so that the rice does not stick to the pan. If cooked rice, then spread it on a plate and refrigerate for an hour and then use it for cooking. 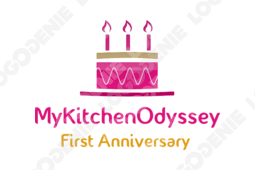 Linking this recipe with mykitchenodyssey's " First Anniversary Giveaway ". A complete and filling meal.. love it. complete n delicious one pot meal!! Tempting Fried rice...Priya, a complete meal.. Looks Delicious! My all time favourite, can have it even everyday. Love panda express fried rice..You made it so good as they do. Fried rice looks delicious Priya. Love it. awesome photography...wonderful presentation...very tempting...great work Priya!